I’m genuinely shitting myself about voting in today’s referendum because for the first time in a long time, my vote doesn’t just have the feel of a frustrated protest to it. This time my vote might actually change something, and the terror this provokes is the terror of responsibility, of having to live up to the consequences of your choices. It’s easy enough to vote for the Greens or the Socialists safe in the knowledge that they’ll oppose the ruling party of the moment from the margins. Voting for something that will inevitably have ramifications throughout your own lifetime and beyond is somewhat more difficult. This really matters, and the fact that this is such a shock to the system is a big part of why I’ve decided to vote the way I am voting. 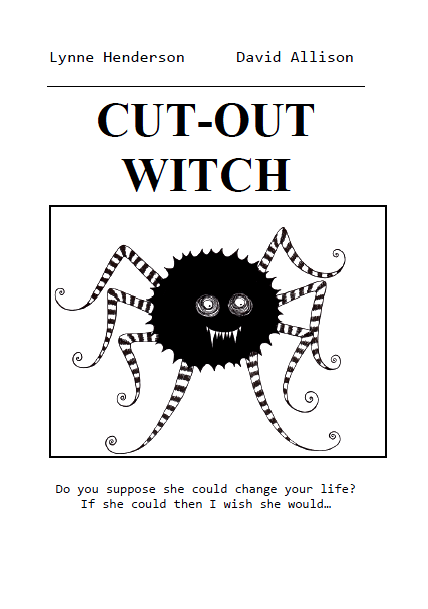 Cut-Out Witch – now available in PDF! A collaboration with Edinburgh based artist and ghost merchant Lynne Henderson, Cut-Out Witch contains twenty five pages worth of lost souls and lo-fi monster magic – imagine a teen goth Terminus and you’ll be on the right track. Lynne provided the pictures, I added the words, but if you want to cleanse yourself with holy water after reading then I’m afraid you’ll have to bring your own bottle. The original print run has sold out, but Cut-Out Witch is now available in PDF format for 50p! If you already bought the print version, please feel free to email me at bigsunnyd @ yahoo dot co dot uk and I’ll send you the PDF for free. CLICK HERE TO SEE SOME GLORIOUS SAMPLES!